George Meadows (Arthur Pentelow) and Major Pantling (Basil Dignam) are trying to name a new filly when Steed arrives, representing the FO and concerned about the security arrangements surrounding Sebastian the Second, a stallion belonging to a sultan. 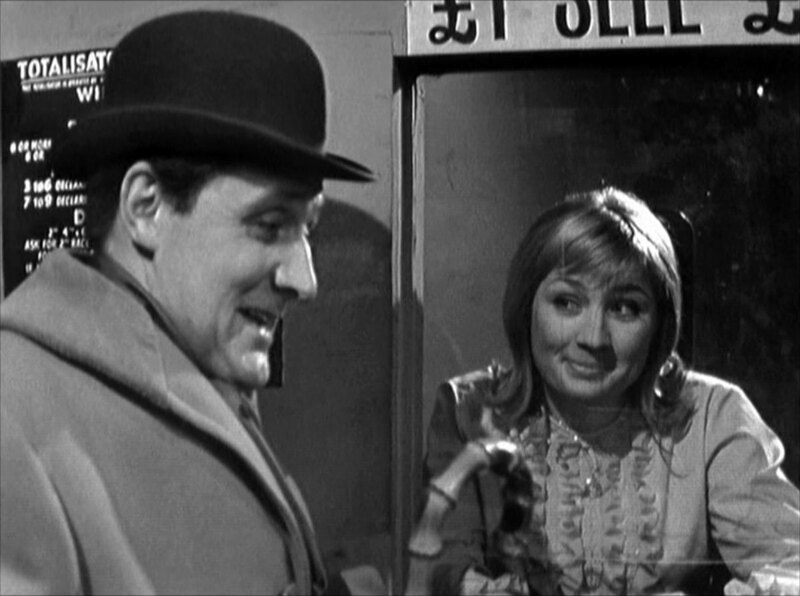 Meadows' daughter, Ann (Lucinda Curtis), arrives with the post and is asked to show Steed the stables. Ann says the stables are secure - no-one could get in and the stablemen are all loyal to her father - despite Johnson being there. Later, in the office of bookmaker Tony Heuston (T.P. 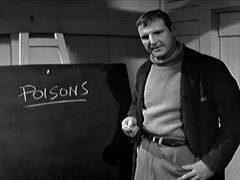 McKenna), Brown (uncredited extra) is given his wages and Johnson waits behind to set up ffordsham, whom they blackmail with Kirby's 'murder' into becoming a hired killer. Returning from a ride, Ann and Steed find Lynton Smith (John Lowe) waiting for Meadows - his brother Gerry's trial is next week and he wants time off. His brother was also a jockey at the stables until he disappeared, only to turn up in South America and be caught trying to kill a tycoon there. Lynton discovered Gerry was heavily in debt to bookies and Pantling writes him a cheque to cover his expenses - an act of largess that Steed suspects, as Pantling complained about living on his Army pension until about two years ago, when he started buying horses. At the track next day, Cathy and Steed place their bets and Steed chats up the tote girl (Marjorie Keys). 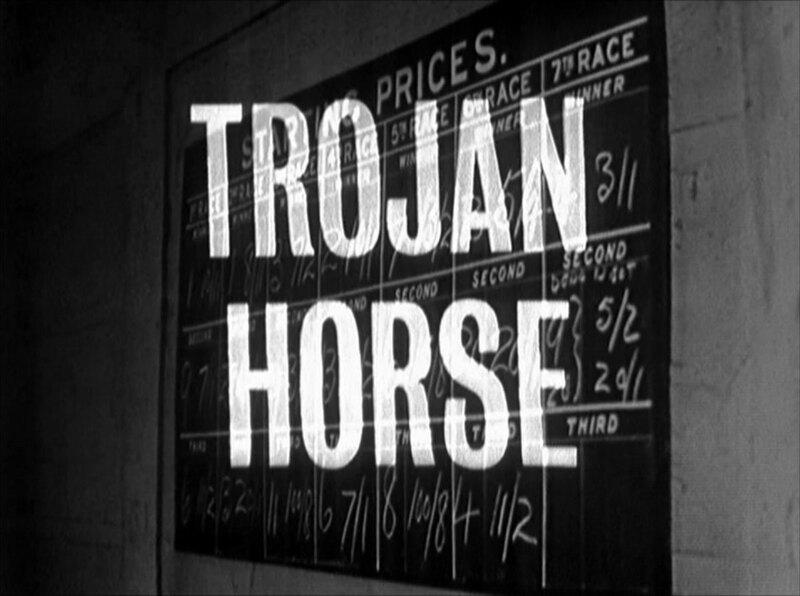 Steed tells Cathy there have been at least twelve unsolved, motiveless murders of important men in as many months, and he suspects a connection - Johnson & ffordsham enter the stables unnoticed. Ann is watching the races with Heuston when Smith falls from his mount, she wants to leave but he coolly tells her Smith'll be fine. At the track, Kirby, dressed as a doctor, injects him with poison. Johnson presents ffordsham to Meadows as a new stablehand, Steed enters and is told Smith's stirrups were sliced through with a razor. He enters the stables and waits for dark... Kirby is given an assassination assignment in Paris by Heuston, then Mrs Gale arrives and impresses him by calculating odds and dividends in her head when proving his settler wrong and is put in Charge of the Newmarket office. 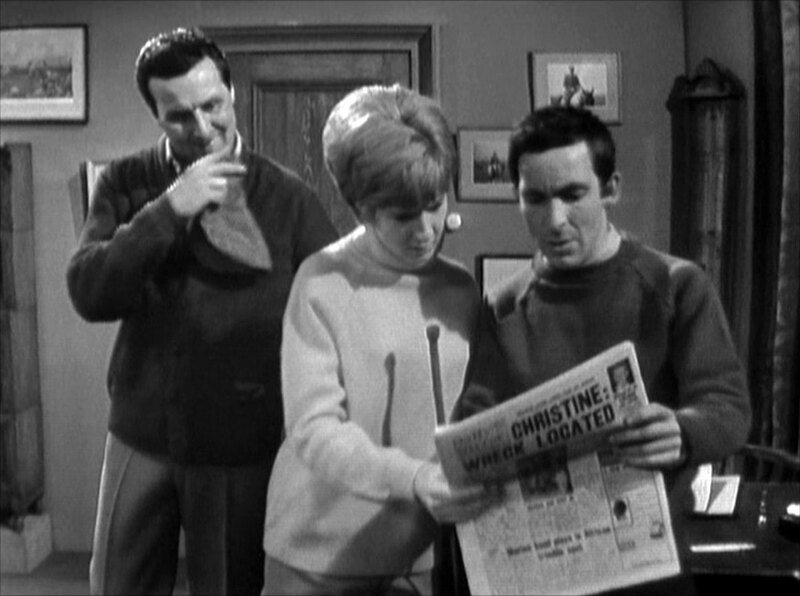 Meanwhile, Meadows and Pantling are becoming suspicious of Steed. 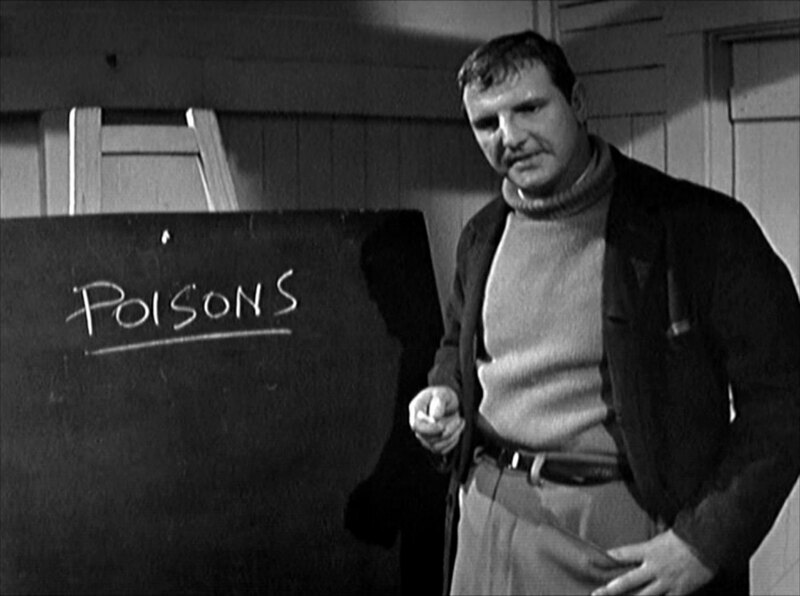 Brown sets up a classroom for Johnson in the stables, and is then knocked out by Steed, who then watches Johnson instruct the stablehands in the use of poisons, including a dart gun hidden in binoculars. Cathy meanwhile is dining with Heuston, who reveals he was trapped into bookmaking, and more recently has been trapped into doing other things he doesn't like. Heuston arrives at Johnson's masterclass and pays the stablehands. 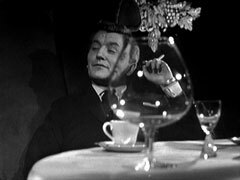 Next day, Heuston pressures Meadows about Steed - Brown has recovered and told them, holding the spectre of revealing his £10,000 gambling debt over him. Cathy meanwhile is visited by Pantling, wishing to raise his maximum credit. ffordsham visits Heuston and is told to kill Steed. Meadows has disappeared, and Ann is worried - so is Johnson, who bursts into Heuston's office - Heuston tells him to check up on Mrs Gale, and he tells Heuston that Meadows tried to turn them in to the police last night with a gun, but was killed in an accident. Pantling meanwhile takes over control of the stable, with a forged suicide note. 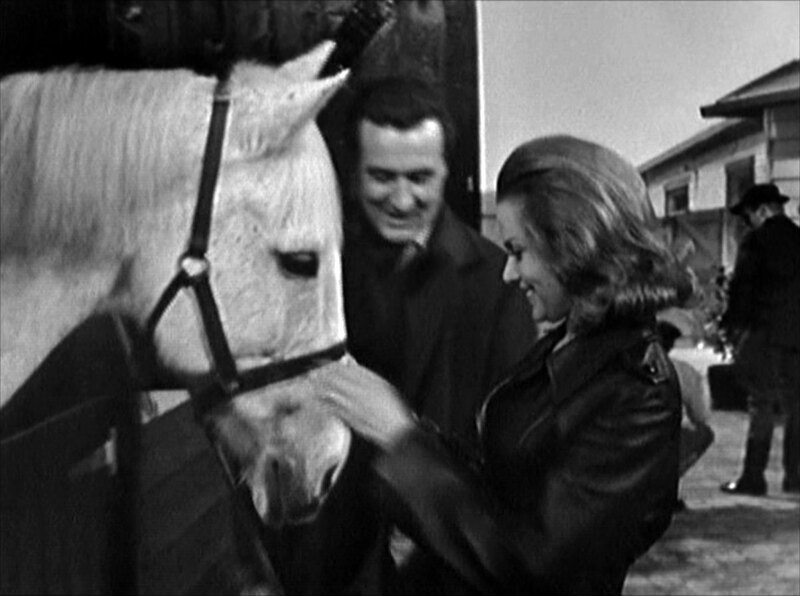 He admits Steed to the stables, where Steed finds Meadows' body in a horsebox. 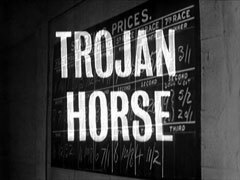 Ann visits Heuston and is told the truth - he and her father were both terrorised into working for the organisation running from the stables - they're all terrified of a visit from a 'trojan horse' who will be their killer. Ann turns a gun on him and he thinks she's part of the organisation, but she's just after petty revenge. Cathy bursts in and takes the gun, and knocks out Heuston. Kirby arrives at Meadows' and Pantling at Heuston's as Cathy is search the filing cabinets - he asks her to accompany him to Meadows' stable where Steed is waiting for her. Johnson orders ffordsham to kill Steed, but Kirby comes in and ffordsham realises he's been hoodwinked. They struggle and Johnson is shot, once by ffordsham, and again by Steed when he tries to draw his own gun. Cathy also spots Meadows' body, and Pantling draws a gun on her. Entering the stable, Steed jumps him and the boss is disarmed. ffordsham is being instructed around the stables by Ann, she's in charge and he's hired new stablehands and Steed has been given Sebastian - he shows his new four year old colt to Cathy, who promptly looks the gift horse in the mouth and tells him he must be joking.